BNP Paribas — the parent company of UC Berkeley’s official bank, Bank of the West — owns more than $1 million in shares from two private prison companies that are contracted by Immigration and Customs Enforcement, or ICE, to operate immigration detention facilities. Both CoreCivic Inc. and the GEO Group Inc. operate various correctional and family residential facilities throughout the United States, and they have a combined total of 24 facilities that are contracted by ICE, including two family residential centers. As of press time, BNP Paribas holds about 19,805 shares in CoreCivic and about 35,506 shares in the GEO Group, according to the Nasdaq. Camila Elizabet Aguirre-Aguilar, a rising campus senior, originally found the information while searching through the GEO Group’s list of shareholders on the Nasdaq. BNP Paribas is by no means the largest shareholder in these companies. While BNP Paribas holds about $471,000 in shares in CoreCivic and $926,000 in shares in the GEO Group, CoreCivic has a total of $2.28 billion in shares as of press time, and the GEO Group has a total of $3.011 billion in shares as of press time, according to Nasdaq. Other banks, such as JPMorgan Chase & Co. and Wells Fargo Bank, hold larger amounts of stocks in both of these companies as well. JPMorgan Chase & Co. holds $11.5 million in shares in CoreCivic and $51.6 million in shares in GEO Group, and Wells Fargo holds $19.3 million in shares in CoreCivic and $12.7 million in shares in GEO Group. Student campaigns against prison investments are not unusual. The Afrikan Black Coalition, or ABC, successfully campaigned for the university to divest from Wells Fargo in 2017 because of the bank’s stocks in GEO Group and CoreCivic. 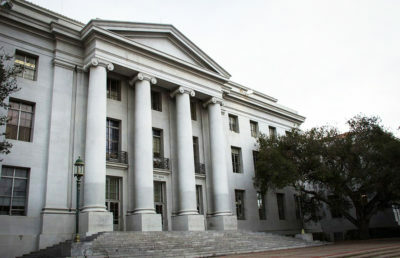 The UC also sold its own shares in various private prison companies after ABC and Black Student Union chapters across the UC campaigned for divestment. Campus spokesperson Janet Gilmore declined to comment for this article and deferred comment to Bank of the West. 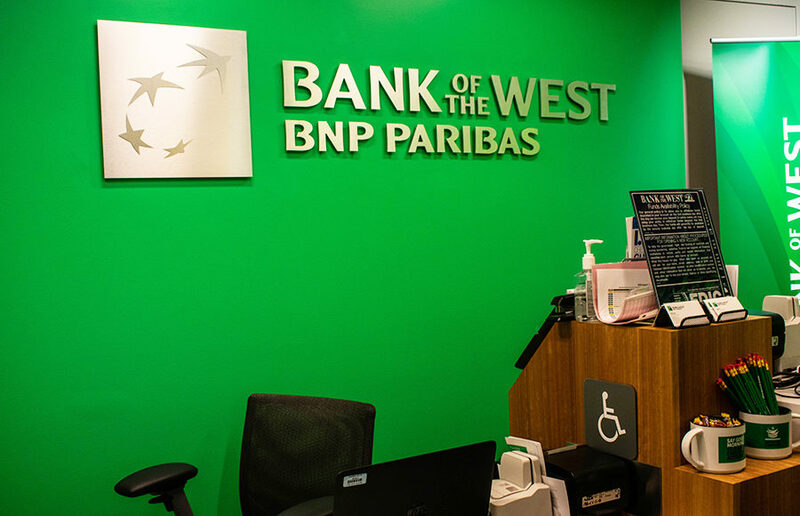 As of press time, Bank of the West and BNP Paribas could not be reached for an official statement. The Karnes County Residential Center, operated by GEO Group in Texas, was converted under former president Barack Obama’s administration from a correctional facility into a family residential facility that houses mothers and their children, according to GEO Group’s website. Another family facility, the South Texas Family Residential Center, has been managed by CoreCivic since 2014. Both sites are operated on behalf of ICE. Unaccompanied minors are not housed in either the Karnes County Residential Center or the South Texas Family Residential Center, according to GEO Group spokesperson Emily Covington and a press statement from CoreCivic, respectively. The Washington Post has created a map of facilities that hold unaccompanied children. Regardless of whether these facilities house children without parents, Aguirre-Aguilar noted that detaining families includes detaining children. She originally sent the information on BNP Paribas’ investments to a group of students and alumni who “care about issues,” according to rising campus senior Nurhan Kuyavar, who was part of the group. 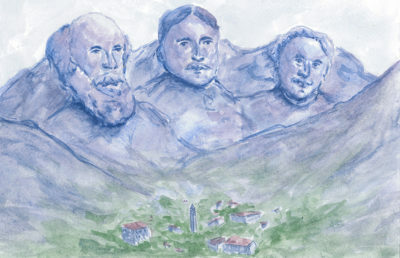 Both Kuyavar and Aguirre-Aguilar suggested that the campus use a credit union instead of a private bank like Bank of the West in order to avoid “invest(ing) in harmful companies,” as Kuyavar said. Switching to a credit union would also make it easier to view the banking company’s finances, according to Kuyavar. 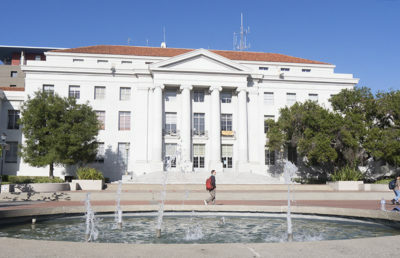 Kuyavar noted that a similar campaign, which called for the city of Berkeley to divest from Wells Fargo when the bank was found to have financial ties to the Dakota Access Pipeline, occured in 2017. In late May 2017, the Berkeley City Council unanimously voted to divest. Aguirre-Aguilar added that switching to a credit union has been done before — UCLA’s official bank is University Credit Union, which was established in 1951 by UCLA employees, according to University Credit Union’s website. “I’m very disappointed, but … I believe this presents an incredible opportunity for the university as an institution to take on the leadership role in a pressing situation,” Aguirre-Aguilar said. Sakura Cannestra is the executive news editor. Contact her at [email protected] and follow her on Twitter at @SakuCannestra.